Amaterasu | Take Back Halloween! 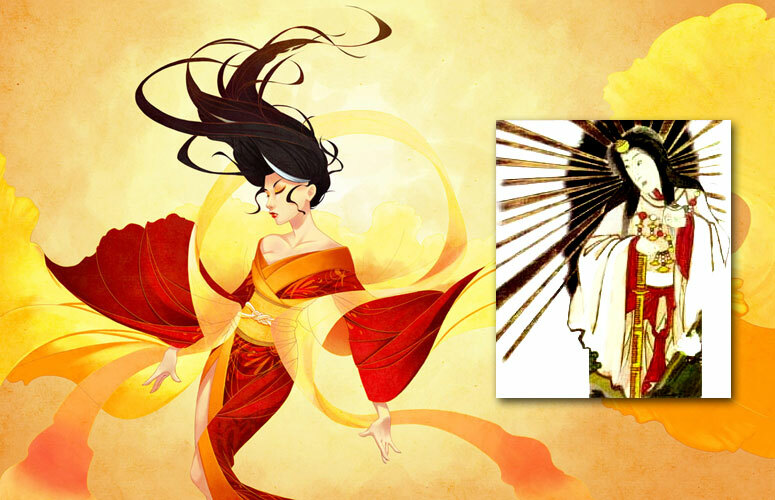 Amaterasu is the Japanese sun goddess, the principal deity in the Shinto pantheon. (And yes, we know she’s the ancestor of the Emperor of Japan. So don’t wear this costume if you’re going to a party at the palace. Other than that, you should be okay.) We’re inspired by Stephanie Kao’s modern rendering above (main image), but we also love the traditional depiction of Amaterasu in a white kimono (detail from a 19th century woodcut, inset above). For our costume we’ve combined Stephanie’s rich colors with the traditional white, and added some fantasy touches. 1. 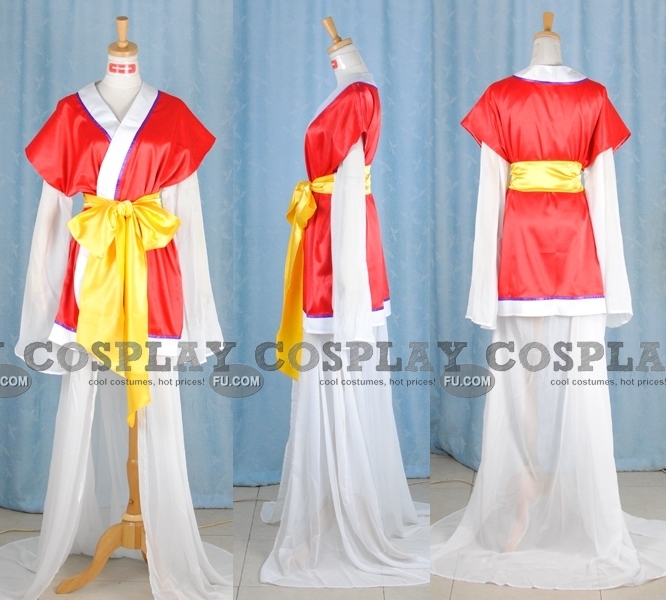 A cosplay costume that has absolutely nothing to do with Amaterasu, but is a great look for what we want. This is a three piece costume, and note that the white underskirt is open in the front. We suggest you tie the yellow obi/belt in the back instead of the front. 2. A red skirt with shiny lamé. Amaterasu should be shiny. She’s the sun! 3. Tomato red tank top. To match the skirt. 4. 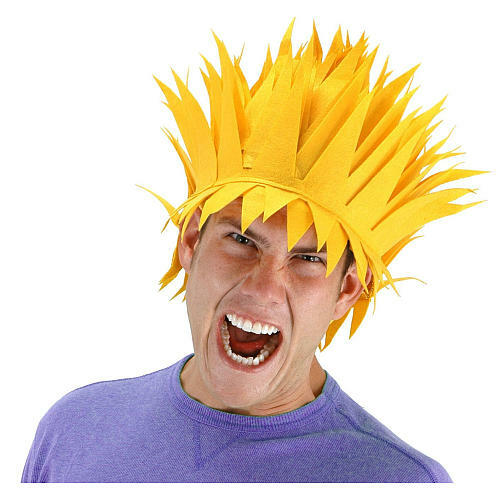 Yellow flame wig. Amaterasu is traditionally shown with sun rays extending out from her head, which is a difficult look to pull off unless you’re Cher. But you could make do with this felt wig instead.